From 8 p.m. to 5 a.m. overnight, beginning Monday July 16 and ending the morning of Thursday, July 19*, crews will close the US 40 and Elk River Road (County Road 129) intersection for final striping and traffic markings. This work involves some removal of old markings and the installation of fresh stripes, marks and symbols. Detours will be well signed. *Crews may not need four nights to complete this work. Expect various brief shoulder closures during days this week as crews complete sidewalk, guardrail, fence and landscaping work. Asphalt resurfacing: The top layer of asphalt was "milled" to address surface cracking and imperfections then overlaid with a new layer of asphalt, from east of Routt County Road 33A to Elk River Road (mile points 126 to 130.6). 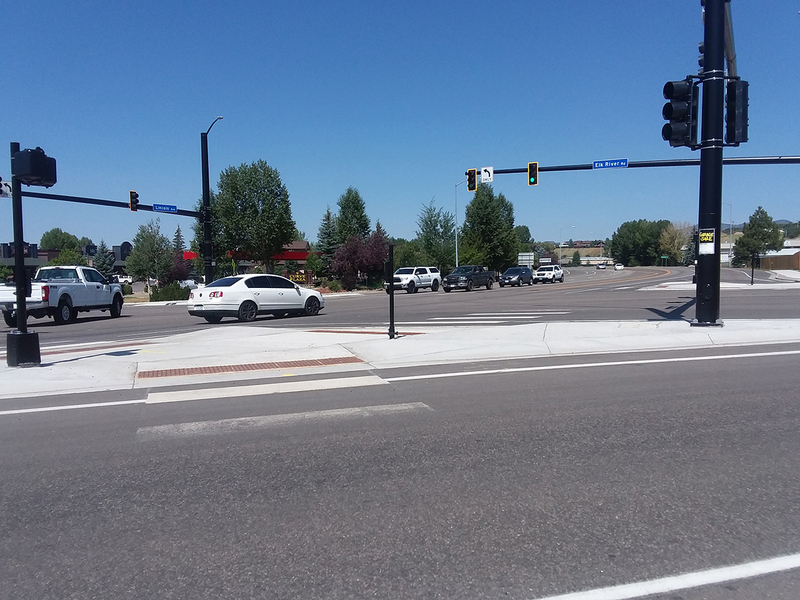 The $6.9 million project was a partnership with the city of Steamboat Springs. The city provided $877,900 in funding toward construction, including the water line work.